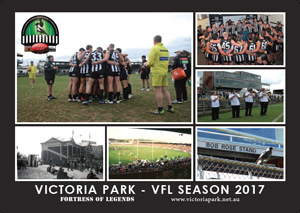 Nicks has enjoyed a Virtual Outer (VO) where Pies fans could come together, especially on game days to read a blow-by-blow call of the match. This service is offered to provide coverage for Pies fans everywhere who can’t make it to the game and has been a valuable service to Pies fans everywhere for a many years. The chat room has always had an unwritten set of ground rules for acceptable behaviour (essentially similar to those of the BB). As the popularity of the VO has grown, we felt it prudent that we publish these so that everyone and anyone who joins in can get the best from their visit. The easiest way to ensure a pleasant visit is to remember always that there are people of all ages, nationalities etc in the chat room and things you personally feel are not offensive may be to others. Please try and be considerate. 1. The VO is utilised by people of all ages, races and nationalities (but only one creed). Visitors to the VO are reminded that foul, derogatory, discriminatory, explicit or suggestive language will not be tolerated. Warnings may not be issued for breaches of this. You will immediately be removed from the room. 2. The use of Icons. VO visitors are encouraged to support like crazy, but to limit the use of Icon’s within the room. Visitors are reminded that persistent over exuberant use of icons is as annoying as that bloke waving the flag in front of you at the game. You can’t see a darn thing. Excessive use of icons may result in you being “de-voiced” in the room, i.e. you can still read the room but will be unable to participate in the chat. 3. One person is usually nominated to call the blow by blow account of the game from whatever coverage they are taking their account from. That person will be identified by the colour of their text. Due to the far flung nature of the internet, the call may be slightly delayed compared to your own feed. The etiquette of the room requires visitors to desist from pre-empting the caller’s description of the game. For many users, the VO call is ‘live’! We therefore expect that only the nominated caller give the “call” of the game. Persistently ‘spoiling’ the call may result in removal from the VO. 4. Enjoy the Passion! The VO holds a unique place on the Internet; it has a long proud history, let’s keep it that way. Try to engage in positive conversation about the Pies. There is an “In-Match” thread stickied in the BB’s General Discussion forum which can also be used for in game discussion without disrupting the flow of the blow by blow commentary. 5. During the game, let’s talk about the game. It is a social area yes, but most that join the chat during the game do so to get opinions on the game itself…not on Religion, Politics, or other sports etc…if you have to indulge in those topic try and save it for another time and not during the call of the match…so for a few hours during the match, lets just talk footy. There is the facility to initiate private chats with other VO visitors indulge in non-game related chat. 7. The VO is not the Bulletin Board, so is not the place to continue BB discussions, especially during match commentaries. The duration of VO bans will be decided on a case by case basis. If you have crossed the line and copped a ban, don’t bleat about it as a filth fan would, or attempt to circumvent it as a scum fan would. Take it on the chin, and unless you’re a serial offender, odds are you’ll be back in harness to cheer the pies on to a win next game. 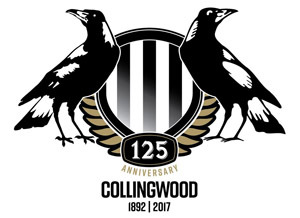 Members who consistently transgress the rules, resulting in them being subject to multiple bans may find themselves banned completely from access Nick’s Collingwood page and all of its related content. It’s not a democracy, but a benevolent dictatorship. Decisions made by those nominated to administer the VO during game day chats concerning breaches of etiquette and all other matters are final! No discussion or dialogue will be entered into concerning the outcome of any decision made. 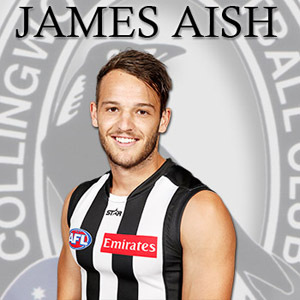 We are all Pies fans and we all have a great passion for the Collingwood Football Club, by directing that Passion in a positive way we are sure to attract more and more to join us in supporting the greatest team of all. The Pies. So please long time users and new follow the guidelines so all can enjoy and continue the Virtual Outer Tradition for many years to come.